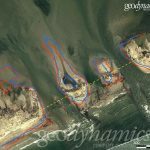 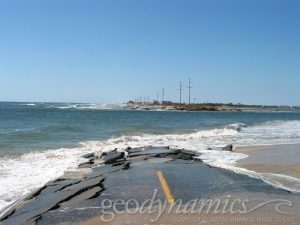 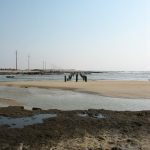 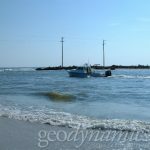 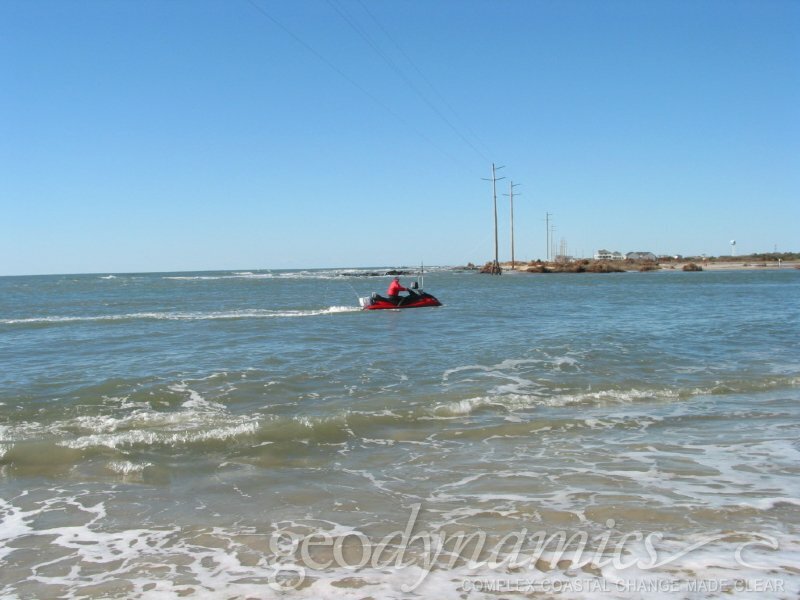 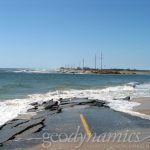 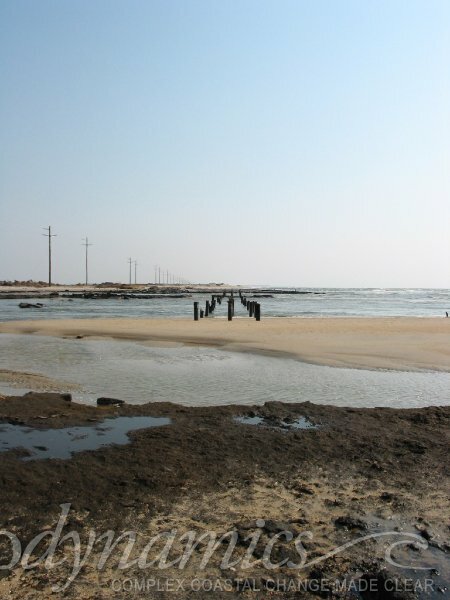 Geodynamics was contracted by the United States Army Corps of Engineers (USACE) Coastal Inlets Research Program (CIRP) to assess and monitor a barrier island breach formed by Hurricane Isabel on September 18, 2003. 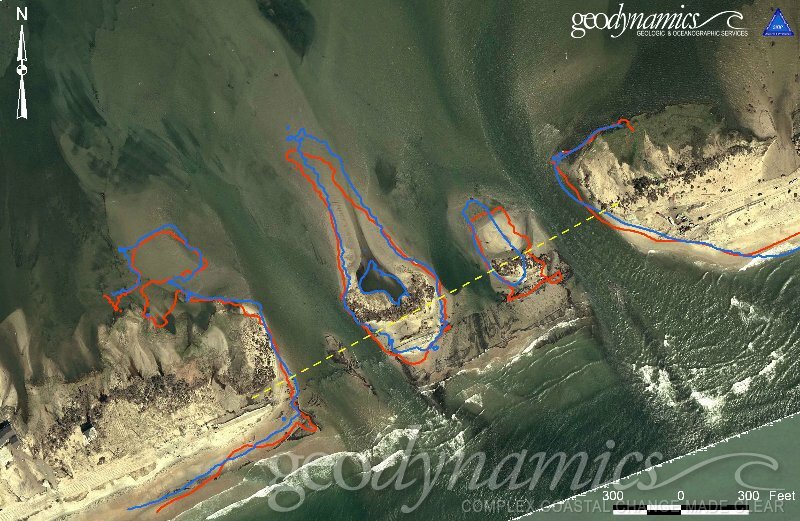 Rapid response efforts by Geodynamics included high-resolution topographic and shallow water bathymetric surveys of the breach and surrounding areas using multibeam sonar, singlebeam sonar, and RTK-GPS 3D topographic data collection methods. 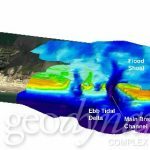 Cross-sectional and 3D topo/bathy models were used to assess change over successive surveys and as input for a CIRP numerical model used to predict conditions suitable for breaching events. 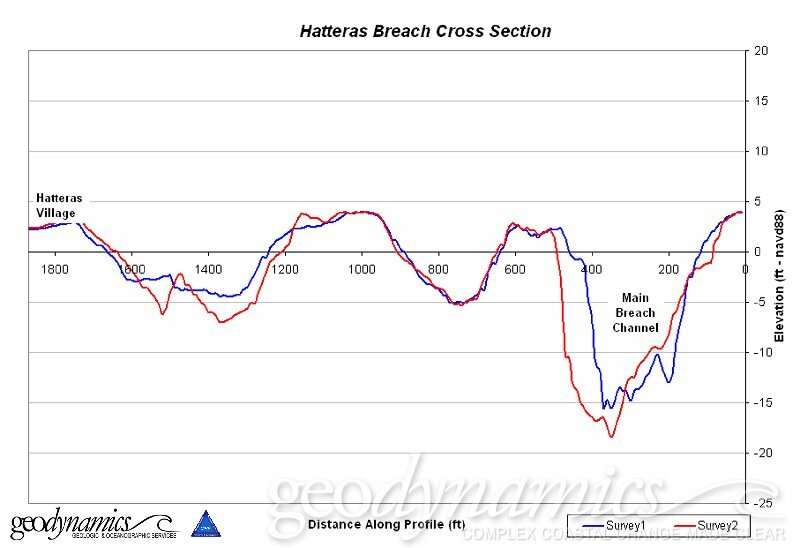 Another important facet of Geodynamics’ work was critical acquisition of bathymetric data in the throat of the breach with the Surfzone Explorer, a unique shallow water hydrographic survey platform. 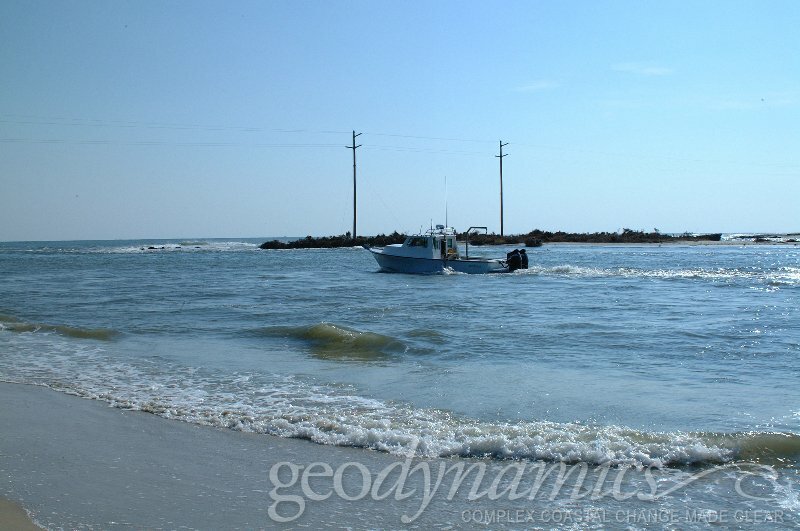 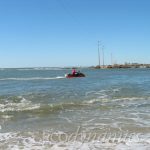 The USACE survey vessel Beaufort could not get into the main section of the breach, so without our efforts on the Surfzone Explorer it would have been impossible to determine how much fill material was needed to repair the barrier island breach.